Uplift is on a mission to eliminate ultra-poverty. Its game-changing platform, the Global State of Ultra-Poverty (GSUP), launched in partnership with RESULTS Educational Fund, is designed to support the global community’s ability to eradicate poverty once and for all. Ultra-poverty refers to the absolute poorest of the poor within the larger movement to end extreme poverty. The GSUP defines ultra-poverty and provides the first analysis exclusively devoted to it, highlighting the strategic imperative and offering a roadmap for change. Families who live in ultra-poverty fall well below the extreme poverty line defined by the World Bank as people living on less than $1.90 USD a day. Families in ultra-poverty face a unique degree of social and economic isolation that keeps them excluded from most existing poverty eradication efforts. It is therefore essential that the global movement focus on them. Indeed, much of the progress made over the last few decades have primarily occurred in China and India and has happened by lifting up those closest to the extreme poverty line. Those farthest from that line have largely been left out. The 14 high burden countries, in descending order according to their proportion of the world's ultra-poor, are India, Ethiopia, Nigeria, Pakistan, Congo (DRC), Bangladesh, Niger, Uganda, Burkina Faso, Tanzania, Chad, South Sudan, Guinea, and Somalia. Roughly half of the 797 million people (400 million) who live in extreme poverty, actually live in ultra-poverty. Just 14 countries contain 80 percent of those living in ultra-poverty. These same 14 countries receive merely 20 percent of official development assistance. Given this, it is entirely feasible for increased resource allocation to those 14 countries and targeted interventions to yield significant impact and movement towards ending extreme poverty altogether. The 400 million people living in ultra-poverty find themselves at the absolute bottom of the base of the pyramid. Headed primarily by women, these households are the most economically and socially marginalized households in their communities. These mothers, and their children, often live without reliable shelter or income and lack access to food, clean water, proper sanitation, healthcare, and education. Ultra-poverty is the direst form of suffering on earth. 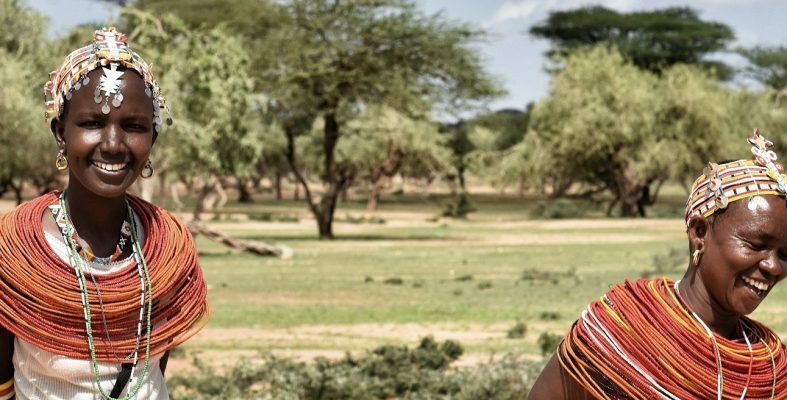 Many of these women are left out of existing poverty alleviation programs, including traditional government social protection, micro-finance, or cash transfer programs. As our most vulnerable citizens, ultra-poor families should be targeted and provided with the support needed to break the cycle of poverty and move towards self-reliance. As a global community, there should be a moral imperative that drives us to ensure all families have the opportunity to live healthy, happy, and prosperous lives. While there should be a moral imperative to eliminate ultra-poverty, reality is often a far cry from the world we hope to create. The reality is, we are in the midst of a global political and economic shift. The cause and effect of a globalized economy coupled with a rapidly evolving fourth industrial revolution rooted in automation and artificial intelligence has left the public sector reeling. We saw the first cracks with the “Arab Spring,” and we are now witnessing similar cries for change sweeping across the United States and Europe. As developed markets struggle to save their middle class, public sector and philanthropic interests have begun an inward shift, away from the plight of the ultra-poor in emerging and frontier markets. No one wants to see mothers and children suffering – but let’s be real – when things are in crisis at home, our nature is to focus on the people we know, our own communities, and the markets that impact us. Ultra-poverty is out of sight, and consequently out of mind. However, focusing on the ultra-poor makes economic and strategic sense for all of us. It is not just about meeting UN Sustainable Development Goal One’s imperative to “eliminate poverty in all of its forms.” Countries with large numbers of people living in extreme and ultra-poverty are the most susceptible to economic, political, ecological, and social shocks. Ultra-poor families are the most vulnerable to these types of shocks. Raising the ceiling on poverty is key to ensuring faster recovery and strong economic and social stability. As our markets become more interwoven, so too is the stability of nations. Ensuring that nations don’t fail isn’t just about economics, it’s about safety and security. When vulnerable countries crumble or crack, the burden spreads to neighboring countries as families try to migrate toward safety. We seem to forget that secure borders are intrinsically tied to stable countries, and a country’s stability is often tied to its poverty burden. Therefore, eliminating ultra-poverty is in our mutual best interest. Eradicating ultra-poverty is no easy feat. It requires supporting and scaling approaches that lift people out of ultra-poverty permanently and moves them away from short-term dependency models. A proven model that successfully reaches and empowers those living in ultra-poverty is the Graduation approach pioneered by BRAC. Graduation allows women like Sainica Tranquille from Haiti to move from a destitute existence to owning her own business and employing other members of her community. When Uplift’s partner, Fonkoze, first met Sainica, her future looked bleak. She was struggling to feed and clothe her children. Her husband was away looking for work, and she was raising four small children on her own. When it rained, I used to wrap my baby in a plastic bag… I slept where I could with my children—sometimes under a tree. Through Fonkoze’s Graduation program, her outlook greatly improved. She was able to build a house, construct a latrine, and start a sugarcane processing business. 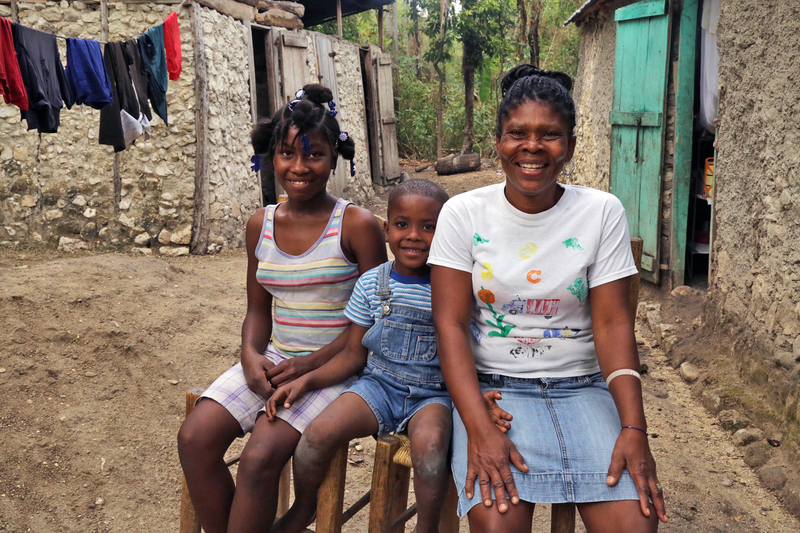 Most families suffering from ultra-poverty feel the way Sainica did. “I don’t need charity; I need to work!” With Fonkoze’s support, she was able to do just that. Her livestock multiplied and her business took off. After an initial loan of just $25, she gradually was able to take out larger loans to support her sugarcane processing business. Graduation aims to provide families with the economic, social, and personal foundation needed to lift themselves out of ultra-poverty through a series of holistic interventions that include life-skills coaching, financial literacy, and access to productive assets—such as livestock, sewing machines, cash, or other sources of enterprise. Reaching more ultra-poor families is entirely feasible with increased government adoption and additional investment to adapt and scale programs like Graduation worldwide. The GSUP will provide insights and recommendations for scaling, adapting, and innovating successful interventions like Graduation to end ultra-poverty. Addressing the plight of the lower half of the people living in extreme poverty not only moves us closer to our 2030 Goal of eliminating poverty in all of its forms but it also ensures increased global political, economic, and social stability. The GSUP will serve as catalytic resource for public, civic, and private sector actors to provide data-backed advocacy, resource mobilization, and ongoing insights and analysis to ensure the strategic scale-up of successful ultra-poverty interventions around the world. 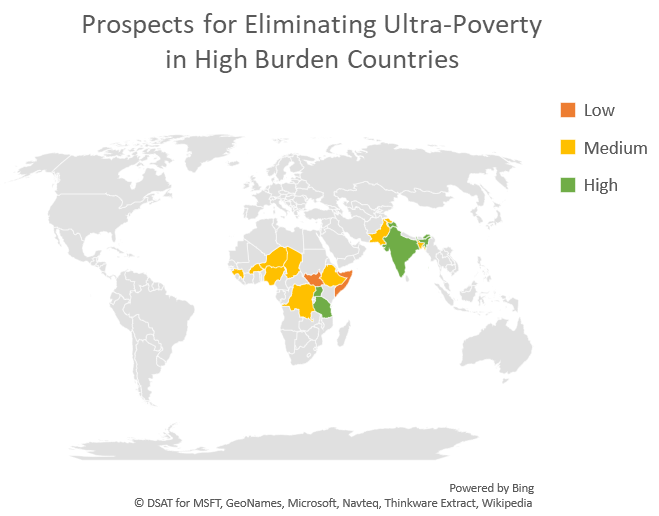 The governments of the 14 high-burden countries must develop new (or amend existing) national-level plans to address ultra-poverty in their countries. Bilateral and multilateral agencies must prioritize funding for the 14 high-burden countries. The World Bank should proactively encourage these countries to seek funding for ultra-poverty programming. Philanthropists must support pilots, innovations, and scale-up of evidence-backed interventions targeting the ultra-poor, with an emphasis on the 14 high-burden countries. Investors must provide investment capital for the implementation of the innovations such as impact bonds to accelerate the scaling of ultra-poverty programming. All images courtesy of Uplift.